Lavanna Laass has picked a right time to peak. After admitting to slow start to the first half of her judo season in the fall, she’s been dominant on the mats the last half, winning six medals at three major tournaments. Laass, an 18-year-old judoka who trains at the Hart Judo Academy, grabbed gold and silver medals in the U21 women and senior categories respectively in her 63-kilogram division at the Edmonton International last month. In February, she won bronze in the U21 and senior 63kg divisions at the Pacific International tourney in Richmond. And in January, she battled to double-gold in her 63kg divisions at the Saskatchewan Open in Regina. Laass is competing in another big tournament this weekendat the Youth Provincial championships at the Northern Sport Centre at UNBC. The tournament features 130 athletes from 14 clubs in B.C. who will compete on the two mats at the NSC’s gymnasium. Fifty of those athletes are from the three Prince George clubs – the Hart Academy, Prince George Judo Club and North Capital Judo Club. The tournament is also a test event for the 2015 Canada Winter Games, and Laass hopes to be on Team B.C. when the final selections are made this fall. “It’ll give me a really good sense what of what the Canada Games could be like and get a feel for it,” said Laass, who, based on her success this season, has earned enough points to sit at the top of her division in the province. Laass isn’t the only judoka from Prince George vying for a spot on B.C.’s Canada Winter Games team. Brendan Bellavance from the Hart Judo Academy and Kristen Yawney from the Prince George Judo Club are also at the top of their divisions. They too will be on the big stage this weekend at Youth Provincials. Bellavance, 17, won bronze in the Quebec Open earlier in the season in his U21 -100kg division as well as at the Pacific International in Richmond in February. Yawney, who turns 17 next week, fought to double gold in her 70kg divisions in the U18 and U21 women categories at the Saskatchewan Open. She also won silver in the U21 division, 70kg class at a tournament in Abbotsford last fall. The Grade 11 D.P. Todd secondary student is back in form this year after she tore three ligaments and fractured the inside joint of her ankle in December 2012 while playing basketball. It forced her to miss nationals in 2013. “It meant a lot of rehab and not doing judo, and it was tough not doing it,” said Yawney, who battled to a gold medal at the junior national championships in 2010 and followed that up with silvers in 2011 and 2012. Both Bellavance and Laass are part of the Canadian Sport School – they attend classes at KRSS every morning, then train at the Northern Sport Centre in the afternoons, Monday to Thursday. At the NSC, they have access to trainers that help them both on the physical and psychological side. “The biggest thing is the mental training,” said Bellavance. Yawney agrees, but also added time management between school studies and training is also key to success. The trio will compete all-day Saturday at youth provincials, which begins at 9:30 a.m. and runs until 4 p.m.
It’s also a final selection tournament for Team B.C. that will compete at the national championships May 15-18 in Saguenay, Que. “The best in each category in B.C. will be here this weekend, vying for first, second, and third,” said Team B.C. 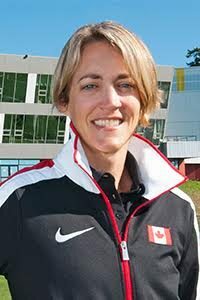 coach Aline Strasdin, who also coaches at the Prince George Judo Club. “As a coaching staff, we’ll be watching them there [at youth provincials] and nationals prior to the final selection tournament in Abbotsford in the fall. Strasdin is also the 2015 Canada Winter Games sport lead for judo. Youth provincials kick off Friday night with the 12-and-under categories when more than 70 athletes will hit the mats. A training camp follows Saturday’s action, while a team camp gets underway Sunday morning.